I saw these two small trees in my university campus and would like to know what they are so I can find out more about them. 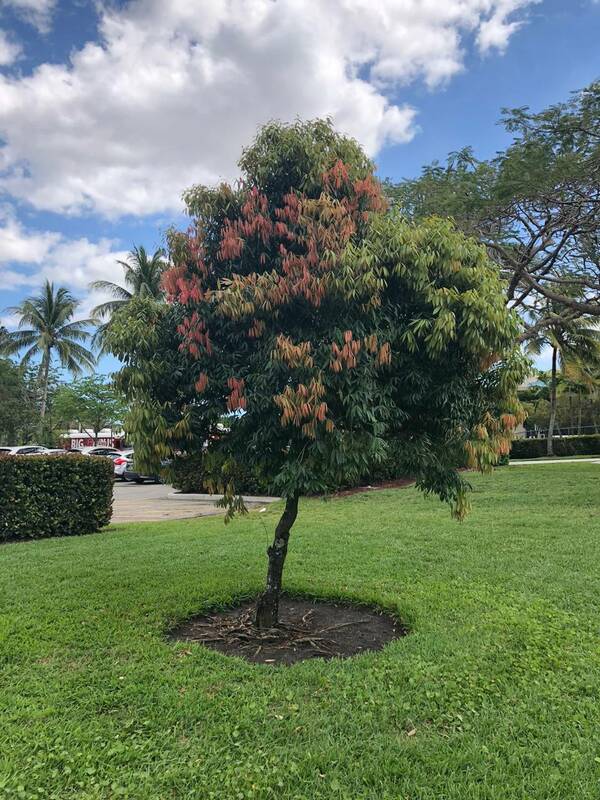 If it will help, I can say that these are planted in Miami, FL. The pictures were taken in March. These are about 8 ft in height. I think they grow slowly because I've seen them at about the same size for a few years. They don't look like young trees to me, but that's really not saying much. Identifying them would be a BIG help, but my next step would be to start learning about them online so any information on them will be very welcome as well. Based on the answers, I realized I needed to post some more details. So I went back and got these closeups of the flowers and leaves. 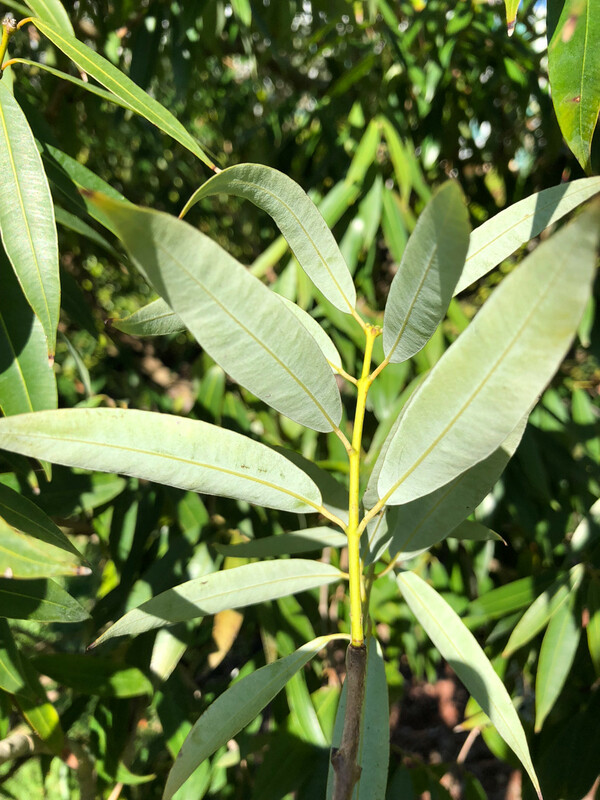 These are pictures of new and mature leaves and also the back of mature leaves. I removed the redundant pictures of the entire tree. 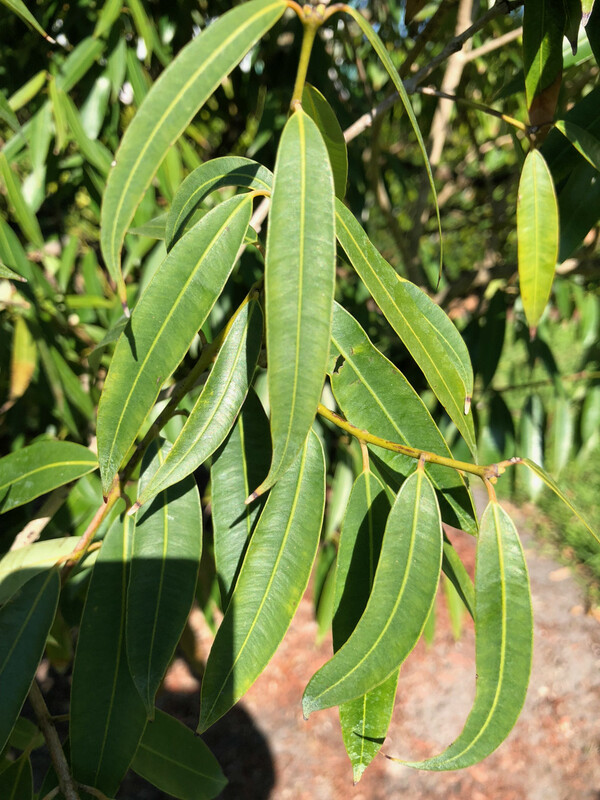 I believe this is Mesua ferrea, a beautiful tropical tree in the family Calophyllaceae (formerly included in Clusiaceae). The leaf arrangement is difficult to discern in the images posted due to lack of close ups, however I think I am seeing pairs of opposite leaves which is consistent with members of the Calophyllaceae and would rule out Ficus, the vast majority of which have alternate leaves. 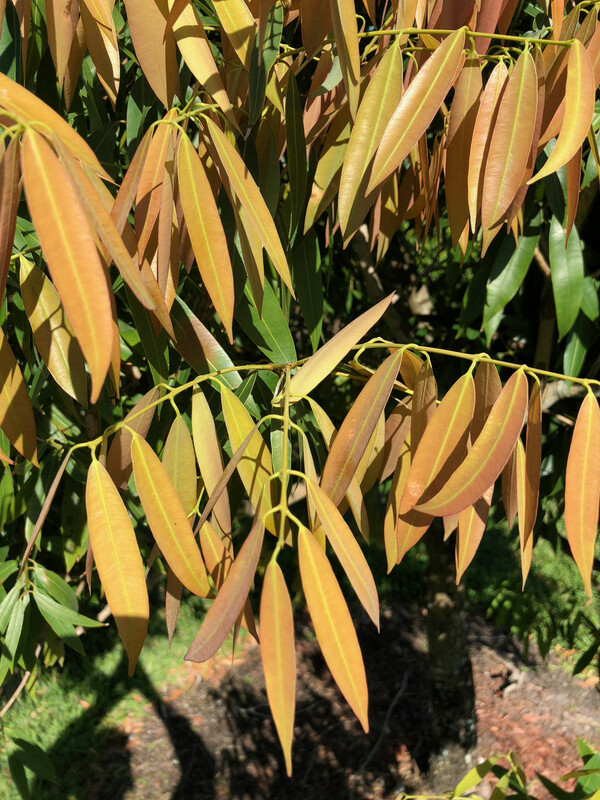 The pink/ copper coloured new growth is also a feature of Mesua. I am going to say Ficus maclellandii. The Banana Leaf Ficus. 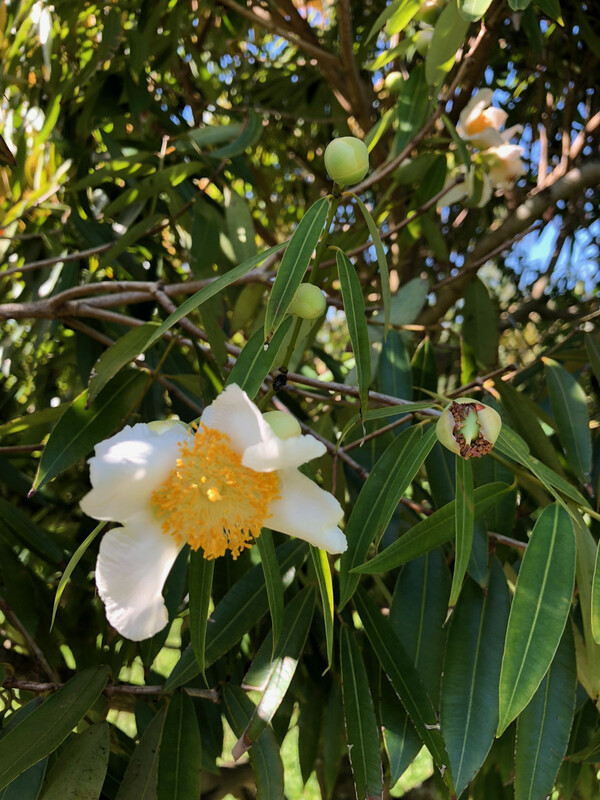 This is a Carpenteria californica. Also known as tree anemone. Its natural habit is bush, but the specimen on this campus are trained to the tree shape. All else matches: flowers, leaves, max height, etc. A very nice and beautiful plant! Can someone help identify these two groundcover plants? What are these potted trees with leafy branches beginning a few feet up a narrow trunk?